Last week I was so fortunate to work with Nole from Oh So Beautiful Paper who was hosting a fantastic Paper Party in collaboration with some pretty amazing sponsors, Minted, Smock, Mohawk, Legion Paper, Chronicle Books, Hello Lucky, Ladies of Letterpress, and Tradeshow Bootcamp. All the paper products were so fun, and every single detail was gorgeous, including all the flowers from Soiree Floral. My heart will always adore paper products of any kind, and I am so happy I got a chance to document this fun event because I had a blast! Cheers to Paper Party 13! 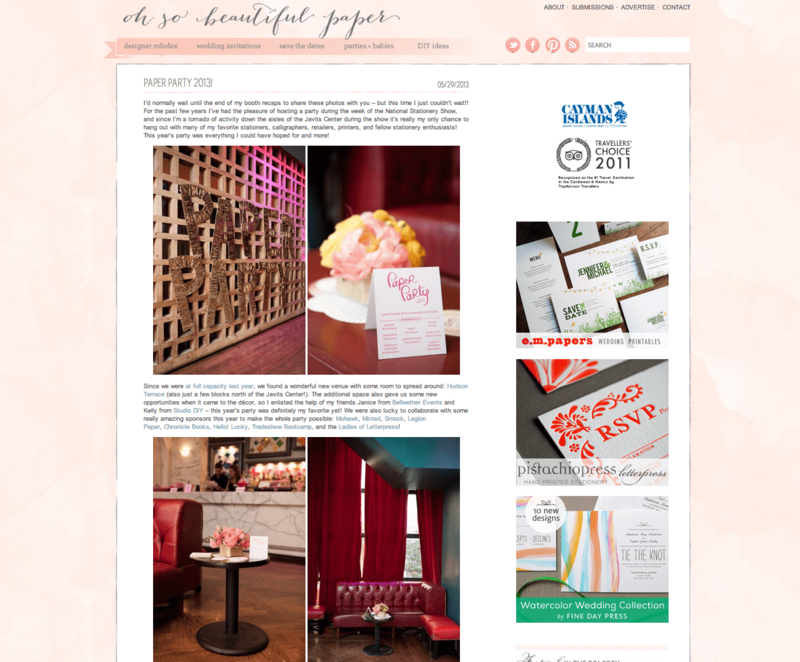 Be sure to check out the feature on Oh So Beautiful Paper.